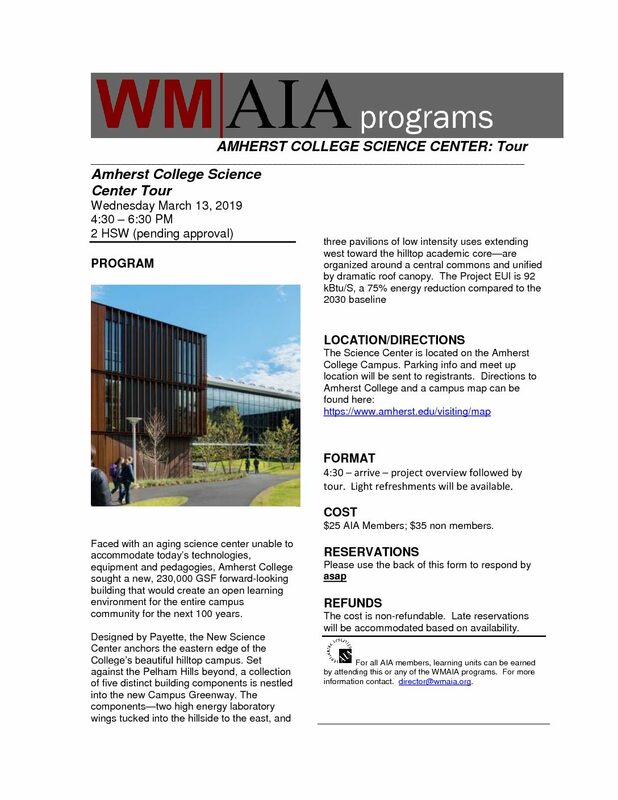 Faced with an aging science center unable to accommodate today’s technologies, equipment and pedagogies, Amherst College sought a new, 230,000 GSF forward-looking building that would create an open learning environment for the entire campus community for the next 100 years. The New Science Center anchors the eastern edge of the College’s beautiful hilltop campus. Set against the Pelham Hills beyond, a collection of five distinct building components is nestled into the new Campus Greenway. The components—two high energy laboratory wings tucked into the hillside to the east, and three pavilions of low intensity uses extending west toward the hilltop academic core—are organized around a central commons and unified by dramatic roof canopy. The Project EUI is 92 kBtu/S, 75% energy reduction compared to the 2030 baseline.